Dumb Question Corner – Why Do I Care About Accessibility? Several months ago I started listening to the NosillaCast after discovering, and listening to all episodes of Taming The Terminal. I haven’t skipped a single week ever since. Many thanks for putting a big smile on my face every week when I listen to your podcast. It is such a pleasure to listen to you and Bart. My wife also started listening. She is a happy MAC user while I am enjoying Windows. We both love using our iPhone. My Dumb Question is why are you so interested in accessibility? In case you wonder, I am visually impaired myself and hence appreciate your focus on accessibility. For some reason I’ve recently heard from a LOT of Netherlands listeners which is awesome. My focus is mostly on blind accessibility because those are the people who talk to me the most. When I was around 11 or 12 years old I read a book called Follow My Leader by James Garfield. This is a book about a little boy who is playing with firecrackers and becomes blinded when one goes off unexpectedly. The book takes you through his journey of anger and denial and his desire that all corners of things should be padded. He eventually gets a seeing-eye dog which he names Sirius after the Dog Star. He learns Braille in a special school. The author included in the book a picture of what the dots look like for each letter of the alphabet. I was so intrigued by this that I took a piece of cardboard and used a punch to make a Braille alphabet so I could teach myself Braille by feel. That was the first foray I had into accessibility and accessible “tech” and I remember thinking it was really neat that there was this secret code for blind people. Later in life my mother got macular degeneration and was legally blind for the last 30 or so years of her life. She was a trouper and got all kinds of cool accessibility gadgets and let me play with them. Then when I got into podcasting, several blind people started writing to me and I realized that audio podcasts are pretty much the most awesome thing for the blind. At the first Podcast Expo I attended, I met Darrell Shandrow of the Blind Access Journal and he worked on my education in the field even more. The next year at the Podcast Expo I met blind musician/recording studio owning podcaster Slau who took me even further. Eventually at Macworld one year I did a tech talk called “Blindfolded” where I did my entire presentation on iPhone and Mac while blindfolded. I couldn’t have done this without a vast staff of encouraging blind people who gave me tips and tricks along the way and encouraged me to keep at it. 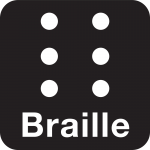 Those people included Darrell and Slau, also Buddy Brannan, Dan Eckmeier, Shane Jackson, Donald Breda, Keith Watson, Joshua Loya, Kevin Chao, Scott Howell, James Auston, Bill Holton, Dennis Bartlett, and Lore Schindler who isn’t blind but teaches the blind in Los Angeles. You can see why this is fun with so much encouragement and help. Over the years blind accessibility has just become part of the fabric of the show. I’m so pleased to see accessibility as part of the mainstream conversation, not as something you add later. That’s been a huge shift over the years. Stumbled here from twitter. Your podcast seems interesting. Will subscribe. I am a assistive tech user my self. Cool! It’s a mainstream podcast, actually.